Posted on 12/05/2018 by Mark Caicedo	in Live Review and tagged bedroom pop, Black Cat, lo-fi, Nashville, Soccer Mommy, Sophie Allison. 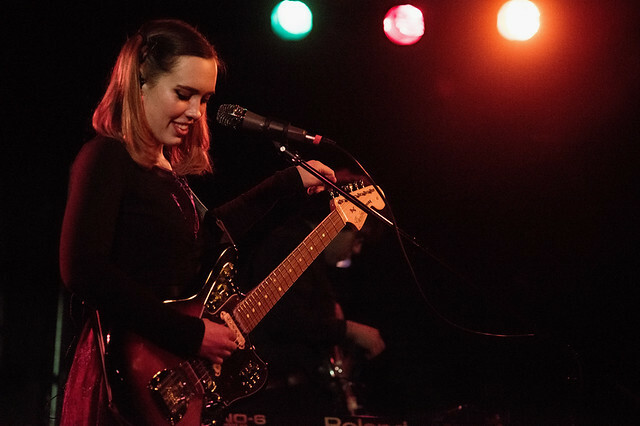 Soccer Mommy is on fire. With a debut full length album, Clean (Fat Possum Records), on several best of 2018 lists, a string of sold-out tour dates through next year, and loads of positive press coverage, Sophie Allison’s band showed up at the Black Cat on Saturday night ready to set the sold-out house ablaze.